The OCCC Spring Job Fair, held for the past eight years, has been canceled, said Tamara Madden, Student Employment and Career Services acting director. Madden said the goal now is to regroup and have the fair in the upcoming fall semester. Originally scheduled for March 5, Madden said the job fair was postponed because of a staff shortage. “It was a difficult decision, because it’s a great event,” she said. Madden sent out an email Jan. 16 letting students know the job fair was canceled but that all other services offered through Student Employment and Career Services such as such as workshops, résumé building, and career exploration, are still available. “That email indicated that Student Employment and Career Services still have … workshops available, still can meet with students about optimal résumé, Kuder Journey, and so many other services that they offer,” she said. Madden said students can — and should — still attend the Greater Grads Fair from 12 p.m. to 4:30 p.m. Tuesday, Feb. 25, at the Cox Convention Center. “The 2013 Greater Grads Career Fair attracted nearly 100 Oklahoma employers and 1,000 students from across the state,” their website shows. For more information visit their website at www.greatergrads.com and choose Greater Grads fair on the left side of the page under the Student tab. Employers who were planning to be at the OCCC Job Fair have been referred to that event as well, Madden said. “We’re trying to continue to support students in their efforts in finding jobs,” she said. Madden said many students and community members attend the OCCC Job Fair each spring. “It’s not an exact number, but certainly in the past … we have had [more than] 100 employers and … hundreds of students and community members,” she said. Taylor Aldridge, nursing student, said she is disappointed the fair has been canceled. “I’m sad. I’m not going to get extra credit now,” she said. While students no longer have a job fair to attend this spring, Madden said there are still a number of helpful resources to use in the meantime. The OCCC job board is still a very helpful resource that students can use. Many employers are still contacting Student Employment and Career services and wanting to post on OCCC’s online job board. 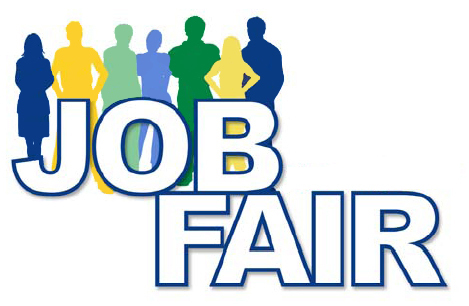 Along with the job board, and the Greater Grads Job Fair, the Online College Central Job Board and OKJobMatch.com also are websites students are encouraged to visit. “We’re trying to continue to support students in their efforts in finding jobs,” Madden said. Students can visit the OCCC Job Board at www.collegecentral.com/occc. For more information about Student Employment and Career Services, contact Madden at 405-682-1611, ext. 7897, or visit the SECS website at www.occc.edu/es/index.